When you have been hurt by a medical professional, you deserve a firm that will take care of you. Harris Lowry Manton LLP has been the law firm Georgians trust when they have been injured because of medical negligence. We know what it takes to build and present a successful case in front of a jury. If you or your loved one sustained serious, life-altering injuries because of an act of medical malpractice, we are here to help you. Care or service rendered by any public or private hospital, nursing home, clinic, hospital authority, facility, or institution, or by any officer, agent, or employee thereof acting within the scope of his employment. 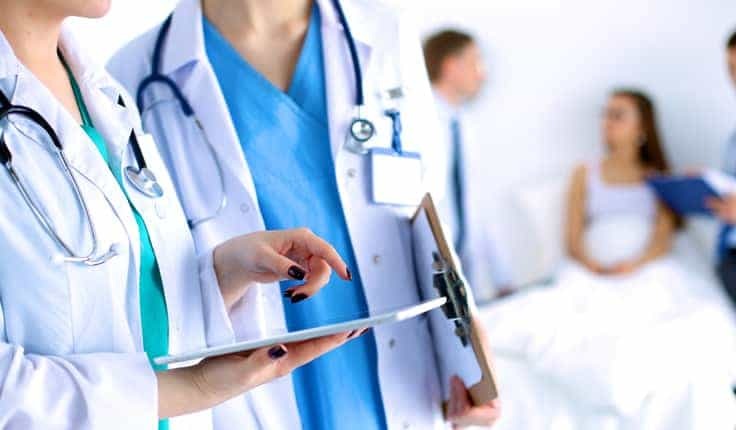 There is sometimes a fine line between what constitutes medical malpractice and what does not, which is why you want to seek the counsel of an experienced attorney as soon as you can after the injury occurred. Mistakes made by lab techs, pharmacists or even hospital volunteers may all fall under the umbrella of medical malpractice, depending on the specific circumstances of your experience. Failing to review a patient’s medical history, allergies, etc. Our attorneys have handled medical malpractice claims at hospitals throughout Georgia – and it is no wonder. The Leapfrog Group, an independent watchdog group which collects, analyzes and reviews consumer medical information, has found much to be improved with our hospitals. Of the 74 facilities reviewed on the site, only 14 earned an “A,” and only 17 earned a “B.” Of those 17, only two – Northside Hospital and Emory University Hospital – were located in Atlanta. Two of our most substantial medical malpractice verdicts were against Gwinnett Medical Center Lawrenceville and Southcoast Medical Group. Gwinnet earned a “C,” and SouthCoast Medical Group, a doctors’ practice group, was ineligible for ranking. Per GA Code § 9-3-71 (2016), the statute of limitations for a medical malpractice claim in Georgia is generally two (2) years from the date that the injury or death occurred. If a foreign object is left inside the body, you have one (1) year to file a claim. There are some exceptions to this rule, as they apply to minor children, or to people with intellectual disabilities or mental illness. No medical malpractice claims will be reviewed after five (5) years. Economic damages. These are quantifiable expenses. You may be entitled to compensation for past and future medical expenses (medications, treatments, therapies, etc. ), wages, earning capacity, income, and funeral or burial expenses. If you have sustained an injury or illness because of acts of medical negligence, you have the right to seek compensation through the civil justice system. But how do you know which law firm is right for you? How do you choose the best Georgia medical malpractice lawyer for your needs? First, see what the Georgia Bar has to say. You want a lawyer who is in good standing with the Bar, and who will act not only with your best interests in mind, but also with the highest ethical standards and integrity. Next, do your research. Talk to your friends and family who have made claims for negligence, and ask them about their experiences. Check out websites and online reviews, to see which attorneys are most adept at working one-on-one with clients throughout the process. Finally, schedule some free consultations with firms you that have the resources and experience to handle your needs. If you can bring your medical records, that could be helpful – but it is not necessary for the initial consultation. If you follow these steps, you will see that Harris Lowry Manton LLP fits the bill at every turn. We have successfully obtained millions of dollars in compensation on behalf of our clients. Our award-winning attorneys are all in good standing, and have been praised by multiple independent ratings organizations for our dedication to service to our clients, our communities, and the legal profession. We are the firm other Georgia and out-of-state attorneys turn to, to handle complex litigation on behalf of their clients. Unlike other firms, we do not outsource our medical malpractice claims. At HLM, you work with one of our trial-tested attorneys from Day One of your claim, and we do not stop fighting until we know we have reached the best possible outcome for you. Harris Lowry Manton LLP is an award-winning medical malpractice firm serving clients in Atlanta, Savannah, and throughout Georgia. We know what it takes to build a successful claim for compensation, and we do not back down from the fight. If you or your loved one was catastrophically injured, or if your loved one has died as a result of medical negligence, HLM wants to help you seek justice. To schedule a free consultation with a member of our team, please fill out our contact form or call our offices: 404.998.8847 in Atlanta, or 912.417.3774 in Savannah. Is Georgia’s Medical Board Putting Patients at Risk?